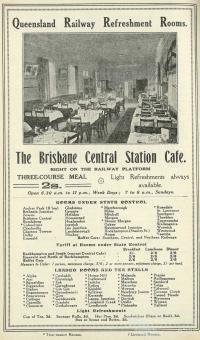 Railway Refreshment Rooms offered dining pleasure to people travelling across Queensland for over 100 years. Ideals of congenial surroundings, with fine china and white linen, contrasted with the rush to feed a train load of passengers and the often remote location of the rooms on a rail network stretching across the state. 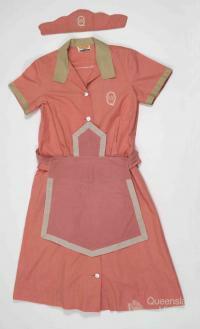 The industry was a widespread entity, with everything from waitresses to water jugs controlled primarily by the State. It boasted an interesting array of personalities engaged in the provision of food and beverage. Despite a variable reputation for quality, the enjoyment of comestibles on long rail trips was an integral part of rail travel in Queensland. 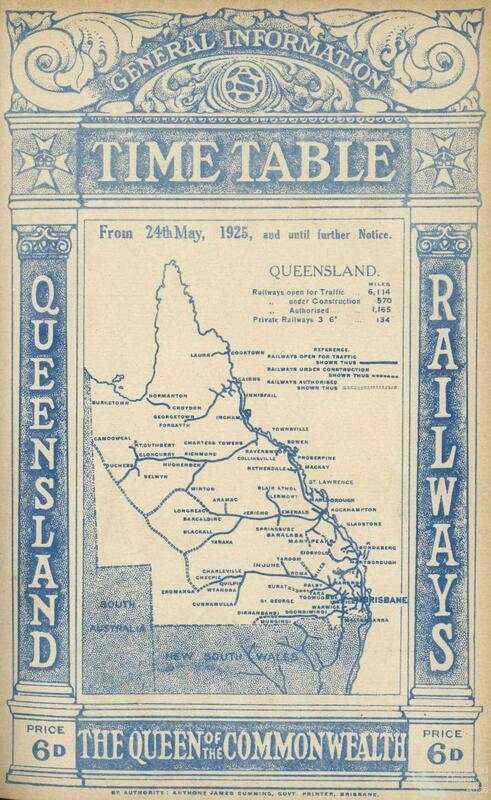 The advent of Queensland’s first railway in 1865 was very soon followed by proposals to provide food and liquor. 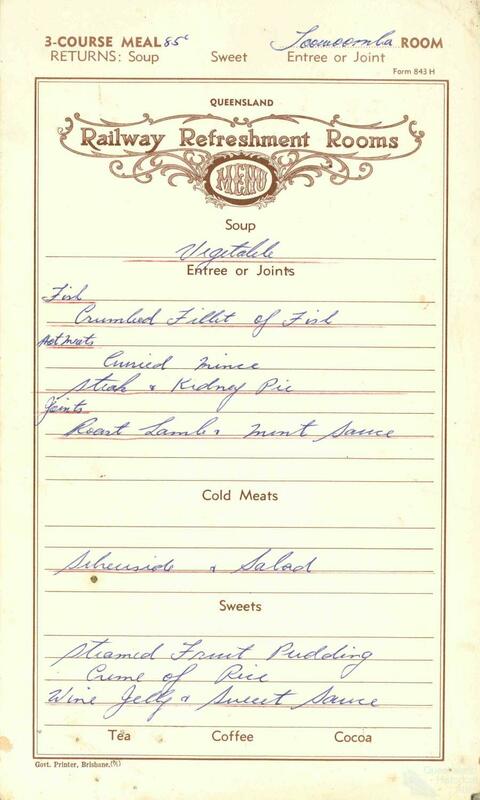 Mrs Littleton of the Royal Hotel in Toowoomba was very quick off the mark. Only months after the opening of the line to Toowoomba in 1867, she was trading in a purpose-built Refreshment Room close to the station. James Bassingwaite, licensee of the Lady of the Lake Hotel in Helidon was even quicker, applying for permission to sell refreshments, wine and spirits in February 1867. In 1868, the Railway Refreshments Room Act was passed to oversee the control of all licences. 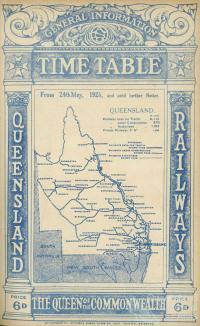 As rail spread north, south and west across Queensland, a vast network of Refreshment Rooms came into existence. In just over 10 years, seven rooms were operating. 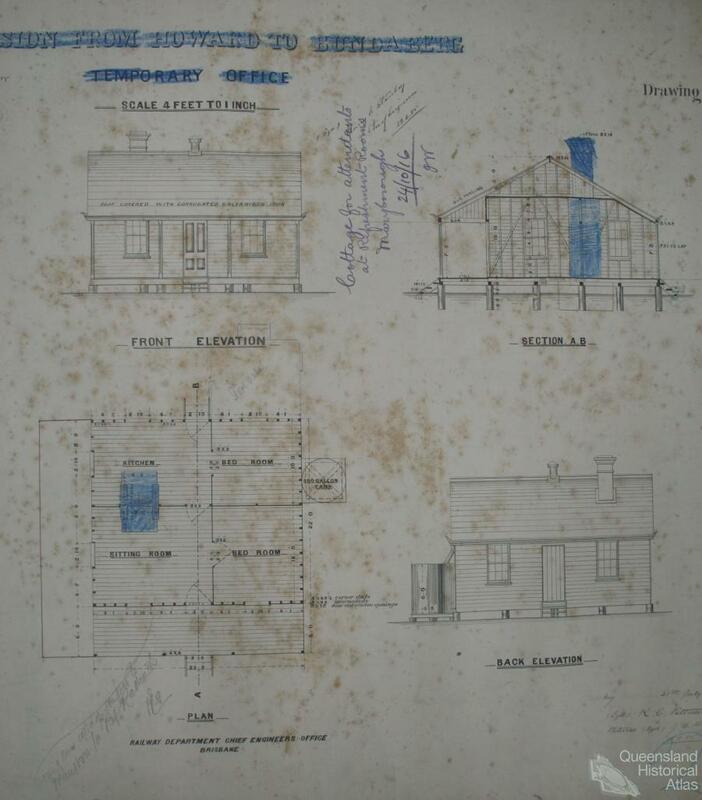 By Queensland Railway’s fiftieth anniversary in 1915, 47 rooms and stalls were operating, 15 of these temperance rooms, and five owner-built on leased land. At the extremities of the State were Kuranda in the north, Wallangarra on the border with New South Wales in the south, Hughenden in the northwest, Barcaldine in the central west, and as far west as Charleville and Inglewood on the southern main line. More enterprising lessees had highly profitable ventures. 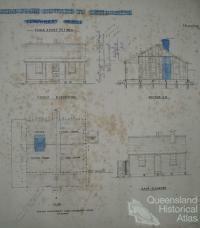 S. Allen and Sons ran two Refreshment Rooms at Mareeba and Homestead which they sublet and then supplied their lessees with their own brand of liquor and supplies. On the Darling Downs, the Allman family, hoteliers from Warwick, had four rooms which they furnished with their own brand of attractively badged and patterned china. Mr D. Allman became the General Manager of Refreshment Rooms when the Railway Department later took control. Most rooms had been established by local entrepreneurs and many proved lucrative. In 1917, the Labor government of Queensland led by Premier T.J. Ryan, under an economic policy aimed at competing with private sector businesses, encouraged the Railways Department to take control of the most popular rooms. In Central Queensland, Mrs Sarah Balls had built up a chain of 13 rooms since 1917, together with the business for the Central Buffet Car operating out of Emerald. Her daughter, Mrs Eva Lissner, leased Bethania Junction Rooms. Mrs Balls, incensed by the Government’s action in resuming control of her rooms, refused to talk to the Department’s agents. Her daughter Eva negotiated the resale of stock and equipment on her behalf. Most Refreshment Room staff transferred their labour to Queensland Railways with the takeover of the leases, as the unions had achieved better wages and conditions. However, the change was not wholly successful, with many passengers decrying the deterioration in standards of cuisine and service with the change to State control. After only two years under Queensland Railways the control of Refreshment Room operations was handed over to the Queensland State Trade Board. This body also bought and ran cattle properties and a Government-run butcher shop chain across the State. 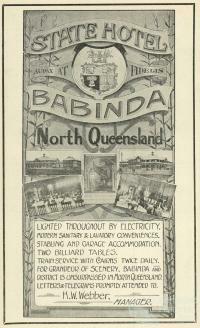 It built and ran the State Hotel at Babinda, an enterprise established by the State to support the growth of the ‘sugar’ town. There were still rooms that were run privately – those marginally profitable or totally not so. In all, 14 rooms remained under individual contract when the Railways took over in 1917. Generally, only those with a liquor licence made a living. But there were always people willing to ‘have a go’. At Eidsvold in the mid-1920s, a local grazier sought to build a tea stall to give his daughter self sufficiency. His initial letter to the Department would have taken the recipients quite by surprise – it opened ‘I have a daughter 17 years of age who lost an eye through a gun accident’. Eventually the lease was granted to the girl’s father and brother. They built the stall and the girl spent the next three years dispensing tea to what would have hardly been a multitude. Tea and coffee, cakes and scones and in some cases alcoholic refreshment, as well as sit down meals, were provided for passengers alighting from trains. For many years Refreshment Rooms also provided hampers for travellers to take on their continuing journey. Fitted with crockery, cutlery, napkins and provisions, the railway hampers spread branded crockery and cutlery across Queensland. (Over 95,000 drinking vessels were ‘lost’ by Queensland Railways Refreshment Rooms in 1945). Refreshment Rooms were divided between Temperance Rooms and Licensed Rooms; licensed rooms were often the only legitimate outlet for alcohol for 100 miles making them very popular and highly profitable but pressure was applied to ensure the supply of liquor was adequately controlled. The quality of provisions and service of Refreshment Rooms provided endless material for newspaper cartoonists and part time poets – the ‘Rush and Crush’, and the quality, age and price of the food were a constant source of gibes. In Parliamentary Papers, Department correspondence and newspapers alike there were complaints about the cost of pies, the quality of sandwiches, the inadequate service and the temperature of the beer. The service at Refreshment Rooms was a worldwide phenomenon – novelist Charles Dickens had famously satirised his experiences of poor accommodation, poor quality of food and beverage, a lack of cleanliness and poor service at a Railway Refreshment Room in Rugby in the UK in 1866. Some rooms, however, had exceptional reputations for their management and, most particularly, the fare they served. Bororen, south of Gladstone, was renowned as having the best pies in Queensland, while Cardwell Refreshment Rooms on the coast in North Queensland was noted for the quality and quantity of their fish. Refreshment Rooms were often popular destinations in their own right; excursion tickets featured meals at Refreshment Rooms as a key attraction. 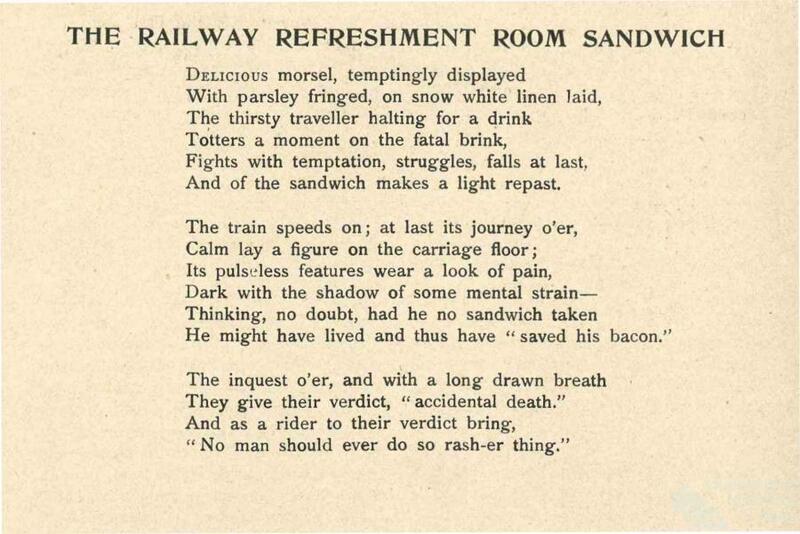 Most Refreshment Rooms were located on railway platforms or in adjacent buildings. The dining rooms could be laid with very formal settings and the rooms were supplied with linen, standard crockery and cutlery. 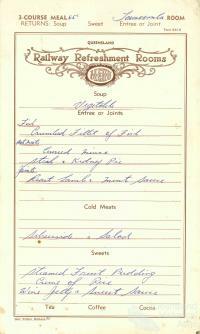 In some cases they featured elaborate printed menus, in others, very functional menu boards. Dining in well-run Refreshment Rooms such as the Rooms at Toowoomba was a pleasure much anticipated. At times Refreshment Rooms were even used for local weddings. However, some refreshment stalls were very basic, notably the ‘room’ on the Bowen-Proserpine line. Little is known about operations of Refreshment Rooms before 1917 but with the takeover, the paper bureaucracy imposed by the Government provided an insight into day-to-day activities. A reasonable proportion of the women employed were young, starting out between 15 and 16 years of age. They held various positions at different times – employees could work as barmaids, waitress, cooks and generals, often moving up and down the hierarchy at different postings. They were paid according to the job they were doing rather than the skill level they had. In 1918, the going rate for a 48 hour week for a waitress was between 15 and 27 shillings and managers were paid between 20 shillings and £4 per week. However, in contrast to the equity of pay for managers, male cooks or chefs were paid £3 to £4 while a female cook was paid 35 shillings to £3. In 1929, salaries dropped by 10% in response to the economic depression and it took many years before salaries regained their pre-1929 levels. The girls were nevertheless reasonably well looked after. In addition to salaries, they also received allowances for accommodation and some board, and in many cases accommodation was provided next to the rooms. Staff moved around the State regularly, with little notice and, in the cases of prolonged careers, at frequent intervals over many years. From 1917 up until World War II, most Refreshment Room staff moved from one town to another and from one job to another, postings sometimes being for only a few weeks. Refreshment Room employee Kathleen Young made 46 moves in a career of 35 years, in spite of spending the last 15 of them as the Officer in Charge at Ipswich. From 1919, she was variously stationed at Oakey, Ipswich, Toowoomba, Gladstone, Wallangarra, Bundaberg, Cardwell, Bowen, Dalby and Landsborough, working at different times as Head Waitress, Officer in Charge and Relieving Officer in Charge. She settled in Ipswich in 1936 and remained there until her retirement in 1952. 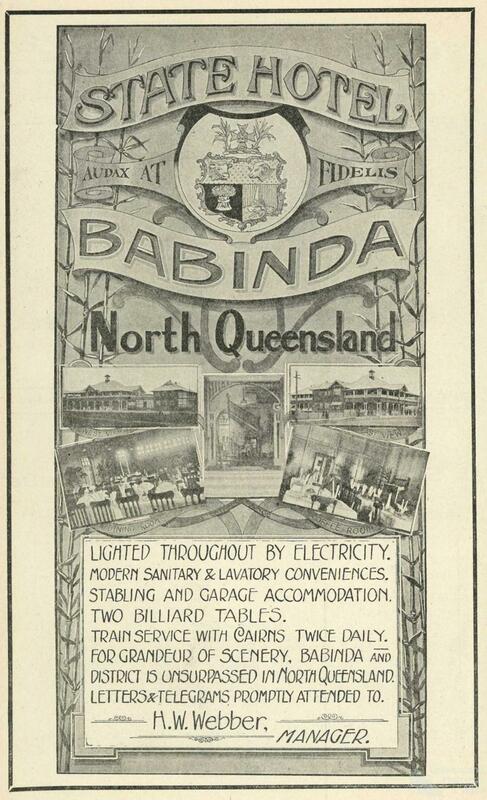 Many of the girls went to work at one time or another at the Babinda State Hotel and were also transferred to and from the Parliamentary Refreshment Rooms on George Street in Brisbane – their experience and expertise adding to their desirability as employees. Staff also transferred to and from the Dining or Buffet Cars provided on long distance trains. Refreshment Rooms reached the height of their popularity in the years between the Wars, with almost 100 rooms operating across Queensland. During World War II, Refreshment Rooms supplied troops on the move – in Rockhampton in July 1943 they reported 35 staff serving 4000 meals between 5am and midnight in one day. However, by the 1950s Refreshment Rooms were in decline. The advent of air conditioned carriages meant that passengers were less inclined to disembark at stations when they could use the Buffet Car on the train. Travel was also changing – by the end of the 1950s the number of people travelling and vacationing more regularly in cars was rising quickly with over 400,000 vehicles on Queensland’s roads. The final nail in the coffin for Refreshment Rooms was the phasing out of steam locomotives in favour of diesel. With dieselisation came a much more focussed approach to the scheduling of rail travel. Without the need to stop to take on water and clean the fire and the smokebox of a steam locomotive, the passenger comfort stops, initially established for operational reasons and the mainstay of regional Refreshment Rooms, were no longer required. One by one, the station Refreshment Rooms closed. 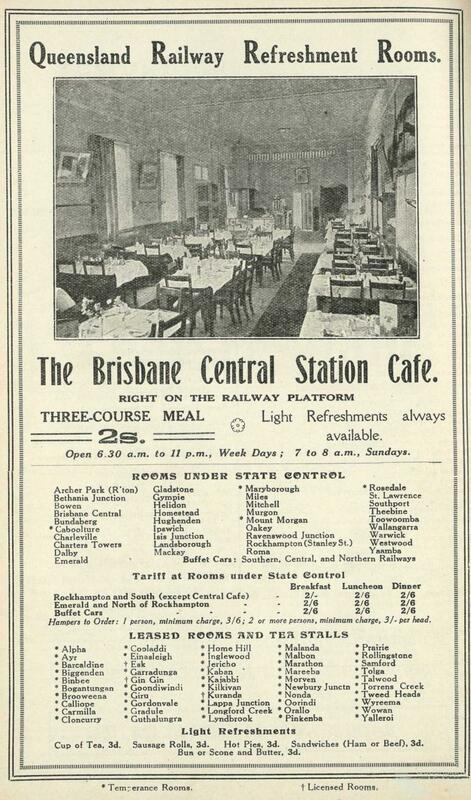 Refreshment Rooms did continue to operate in the major stations, with rooms at Central Station, Toowoomba and Roma Street Station continuing in use into the 1980s but the standards of dining experience had changed – Formica had replaced formal linen. The era of the Refreshment Rooms and the elegant dining whilst travelling had gone forever.